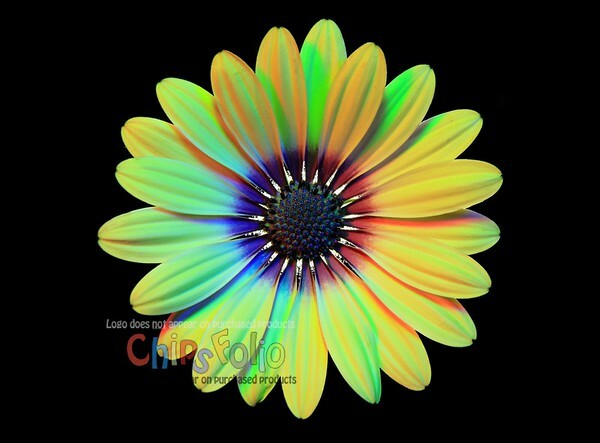 African Daisy (Osteospermum) "Blue Eyed Beauty"
Photo'd under RGB lighting with back lighting. Different petals reflect more-or-less of the individual RGB lights depending on how directly the various petals face those lights. This explains the changing colors around the flower's center.